Al-Kāẓimiyyah (Arabic: الكاظمية‎‎) or al-Kāẓimayn (الكاظمين) is a northern neighbourhood of Baghdad, Iraq about 5 kilometres (3.1 mi) from the city center on the west bank of the Tigris. 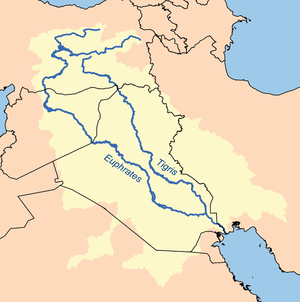 Al-Kāẓimiyyah is also the name of one of nine administrative districts in Baghdad. Al-Kāẓimayn is regarded as a holy city in Shia Islam. It received its name (lit. "the Two Kāẓims" or "the Two 'who swallow their anger'") from the two Shi'i Imams buried there: Musa al-Kadhim and his grandson and successor, Muhammad al-Jawad. 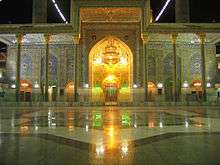 A shrine was first built over their tombs, and subsequently the al-Kadhimiya Mosque. The area that now constitutes al-Kāẓimiyyah was originally the location of a graveyard reserved for members of the Quraysh. This land was set aside for this purpose by the Abbasid caliph Harun al-Rashid. 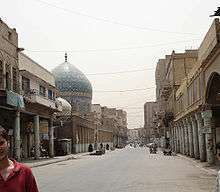 In its early history, the town was an important center of Shi'i learning, perhaps the main center, but over time the town declined, and other cities rose to prominence. The location of the city has lent it to numerous plunders, that have resulted in damage to its shrines at different times in history. Among the most damage ever experienced by the town was after the Mongol Siege of Baghdad (1258) where the shrine of the Shi'i Imams was burnt down. 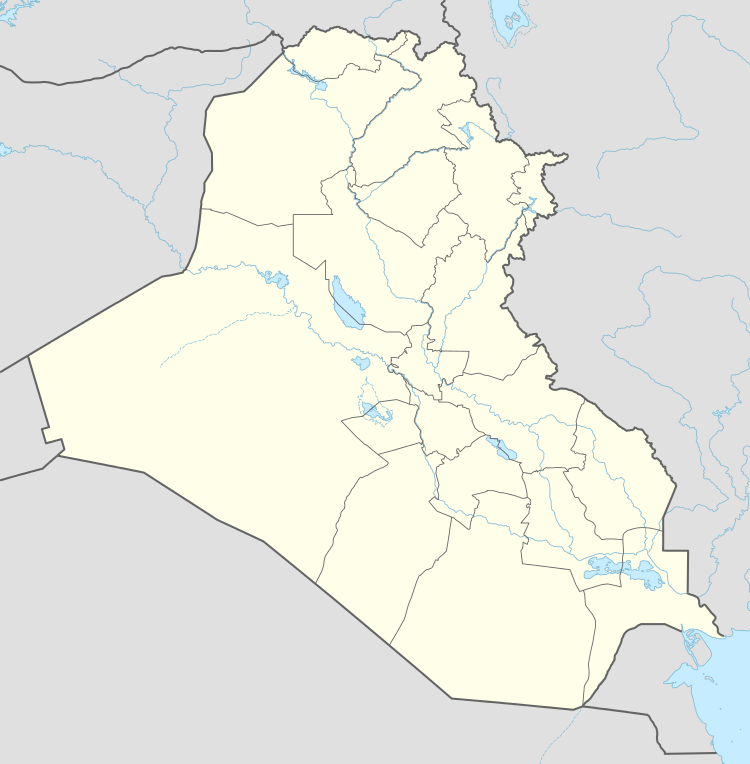 The area was also an important center of Iraqi revolt against the British after World War I.
Iraqi officials executed Saddam Hussein at an American operated facility in al-Kāẓimiyyah known as "Camp Justice". Pilgrims to the shrine were attacked on 30 April 2016, leading to wider protests. During Operation Imposing Law in 2007, there were rumours that U.S. forces built walls around al-Kadhimiyya Mosque. According to Iraqslogger.com, the protests that resulted were due to an agreement between Iraqi security officials and the Mahdi Army (now called the Peace Companies) that US forces would not come within 1,000 metres (3,300 ft) of the shrine. Kadhimiyya Women's Prison is in the area. Women on Iraq's death row are held at the Shaaba Khamsa death row facility at Camp Justice. As of 2014 the adult women's death row had 36 women as well as children even though the facility was only intended to hold 25 women. Amil High School for Girls is in this neighborhood. ↑ "Kadhimiya". Encyclopaedia of Iranian Architectural History (in Persian). Archived from the original on 3 October 2015. 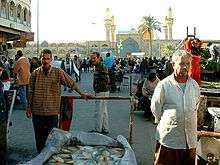 ↑ Exclusive "Bridges of Baghdad" Report. ↑ "“No One is Safe” The Abuse of Women in Iraq’s Criminal Justice System" (Archive). Human Rights Watch. February 6, 2014. Retrieved on December 25, 2015. ↑ Partlow, Joshua. "For Baghdad's Uprooted Girls, School Offers A Hard Haven" (Archive). Washington Post. February 16, 2007. Retrieved on May 6, 2015.